1. Undertake a continuing and comprehensive analysis of the financial condition and policies of the University and develop priorities, based on educational considerations, which should be reflected in the budgets of the endowed and statutory units. 2. Participate, with the cooperation of appropriate administrative officers, in the endowed and statutory budget-planning process. 3. Consider the financial implications of all issues for which responsibility is also assigned to other Faculty Senate Committees (e.g. financial aid and retirement policies). 4. Examine and make recommendations concerning issues and considerations that affect the economic status of the faculty. Such examinations shall include, but are not limited to, the improvement of the conditions of employment including salary levels, fringe benefits, leaves, consultation and interdepartmental compensation. 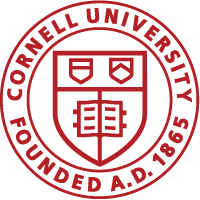 Eleven members of the faculty, appointed with the concurrence of the Faculty Senate, by the Nominations and Elections Committee for three-year terms. The Nominating Committee is directed to ensure that the committee membership consists of five statutory and five endowed members of the faculty. The eleventh member can be from either the statutory or endowed units. The Vice President for Planning and Budgeting, the Vice President for Finance and Treasurer, and the Director of Statutory College Affairs as additional ex-officio non-voting members. *Except as noted specifically below, the Committee shall be organized and operate under the Rules and Procedures governing standing committees of the Faculty Senate. Adopted by the Faculty Council of Representatives, December 9, 1987, Records, pp. 6530-44C, Appendices A, B and C; amended May 13, 1992, Executive Committee of the FCR. Changes in nomenclature from FCR to Faculty Senate and to reflect amendments to Organization and Procedures of the University Faculty, October 1995.